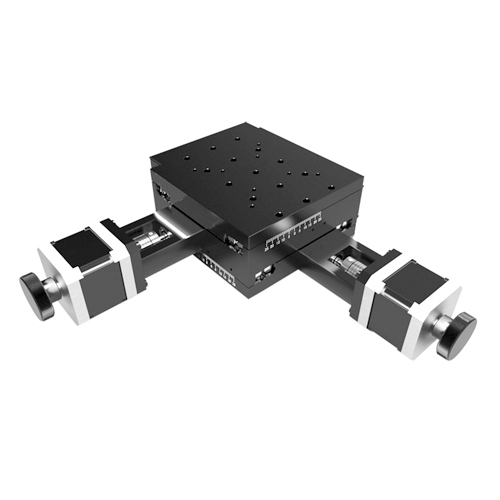 XY axis integrated design, compact structure. Center rectangular hole for microscope. High precision ball screw, better repeatability. 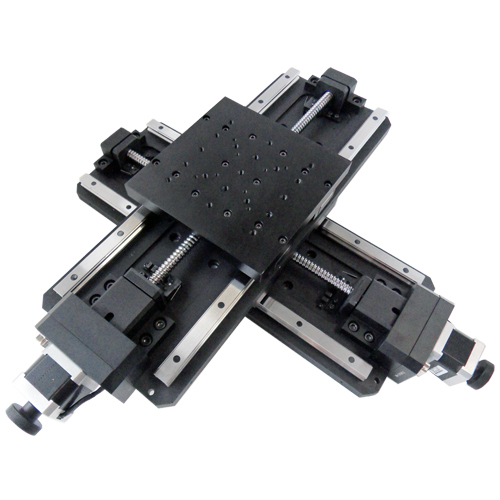 Crossed roller guide, high precision and high load capacity. Stepper motor drive and DB9 interface. Zero position switch and limit switch. Hand wheel for manual drive. Standard holes pitch for easy installation. 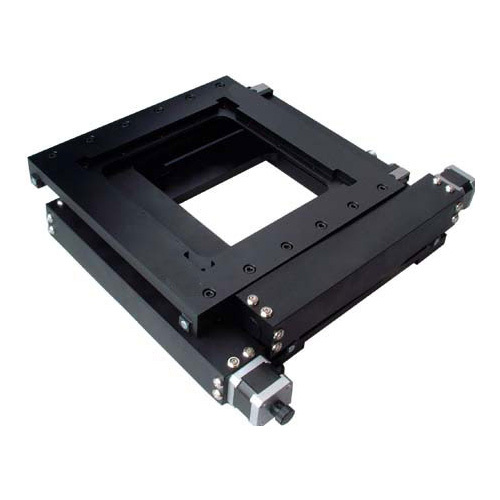 Precision ball screw and crossed roller guide ensure the high accuracy and load capacity of this motorized xy stage. 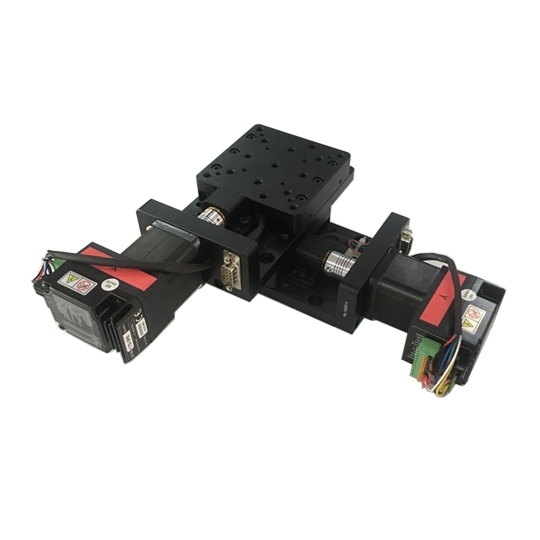 This motorized xy translation stage is an integrated motorized xy stage with compact structure. It’s usually used to automatically move the object under the microscope. 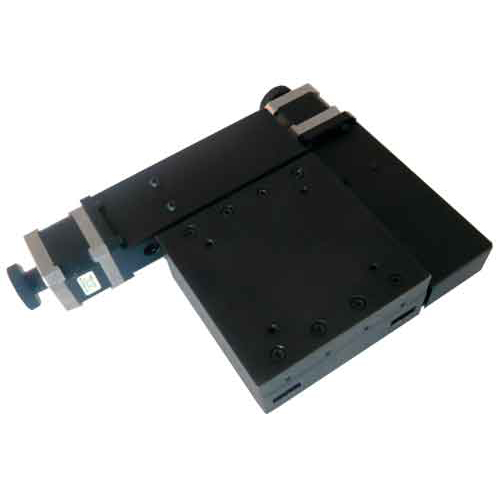 The aperture size is 138mm x 138mm, microscope slides can be mounted and clamped on it. 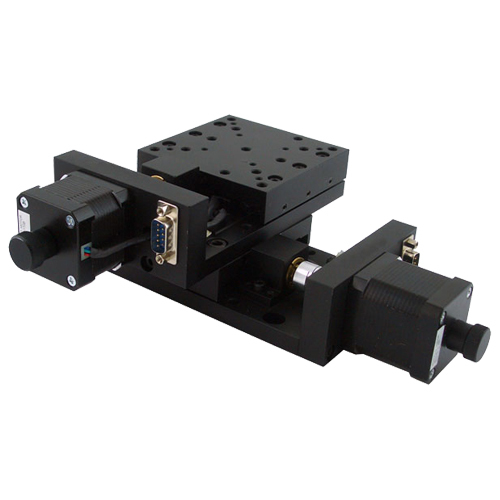 It is connected with our motion controller via DB9 interface and it can be controlled by our computer software via RS232 interface on controller. 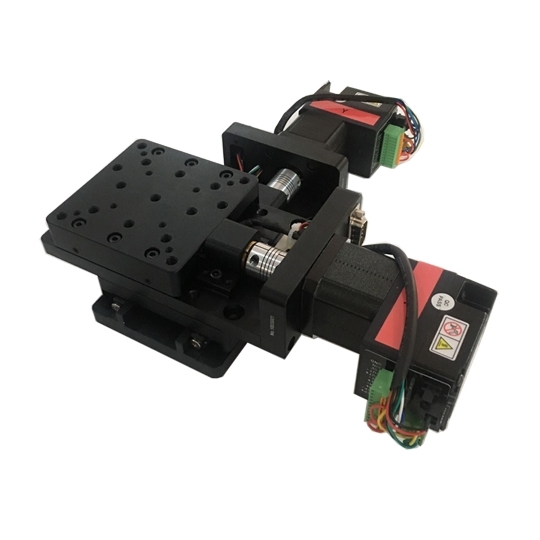 01 series motion controller can be used to control motorized stage with NEMA17 stepper motor. We have 220V and 110V power supply options for each motion controller. The USB line can be used to connect the motion controller to laptop. Please click the following links to get more information.